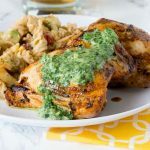 Southwest Baked Chicken – a baked chicken recipe that is ready in no time, with tons of flavor. Just 4 ingredients and dinner is done! Are you ready for a new chicken recipe? We eat a lot of chicken at our house, but the same old dinners can get old and boring fast. So I like to mix it up and make sure that my family stays excited about different chicken dinner ideas. We are in the new year and some many people are trying to keep track of what they are eating, and make sure it is a little healthier. 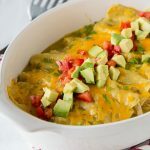 This Southwest Baked Chicken recipe is perfect. 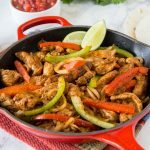 You get all the delicious Mexican flavors, but in something you can feel good about eating and feeding your family. 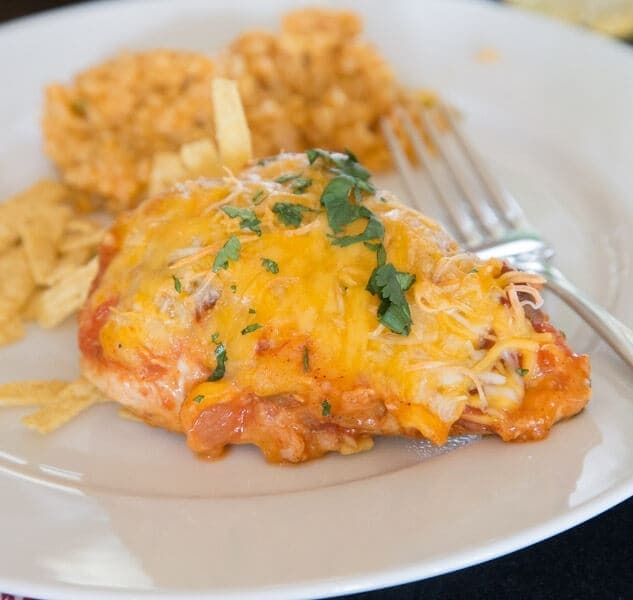 You only need a couple ingredients to make something delicious like Italian Baked Chicken. 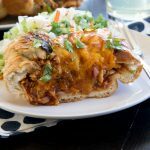 I worked with Lipton earlier this year on this Barbecue Chicken Stuffed French Bread recipe. Well today I am back again. By now, you know I am a big tea drinker. I almost always have a pitcher of iced tea in my fridge, and I can drink it by the gallon. I am serving this Baked Chicken with Lipton Iced Tea Diet Citrus Green Tea flavor. The slightly sweet flavor is exactly what a spicy chicken dinner needs. 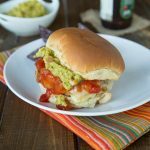 It is refreshing and goes well with just about everything! Lipton has so many great flavors of iced tea, you will have to see what your favorite is to serve at meal time. I think iced tea gets forgotten in the winter. It is time to change that, because it is the perfect drink for just about any meal. So create memories, cook and share a meal with friends and family today! 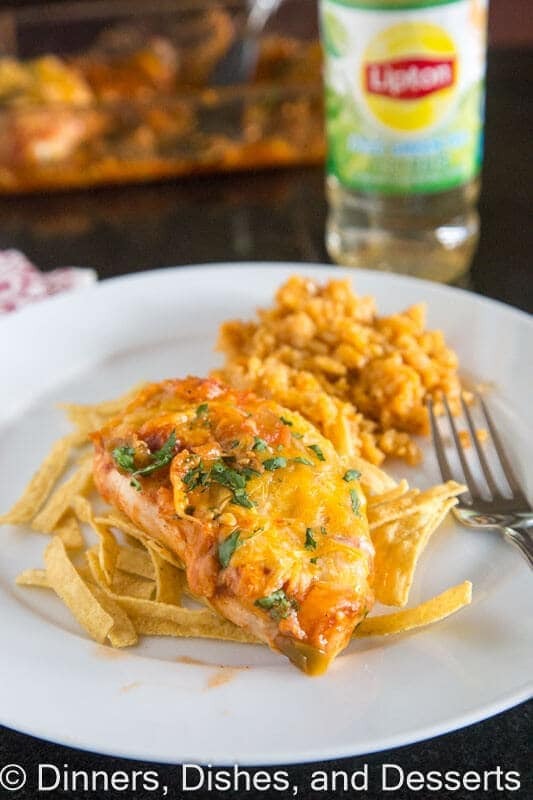 This Southwest Baked Chicken is just 4 simple ingredients you probably have on hand already. So you can enjoy time with family over dinner, instead of spending time cooking all day. I am all for Easy Dinner Ideas any night of the week. 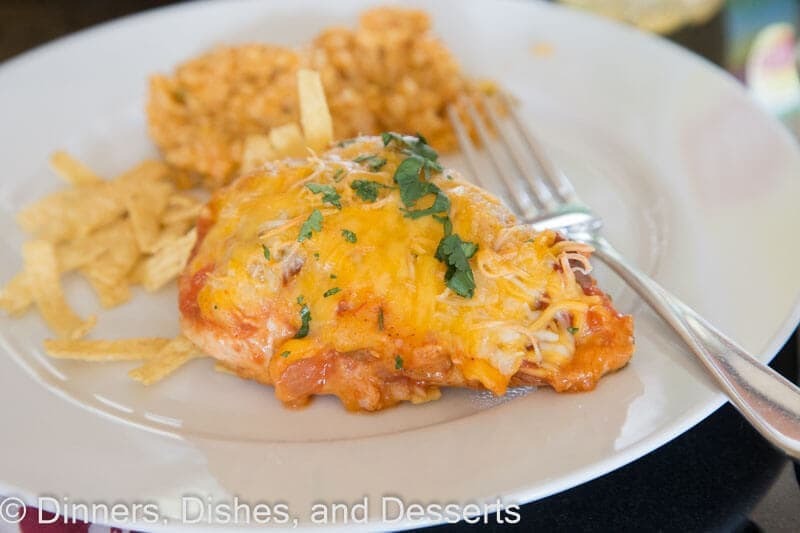 I served Southwest Baked Chicken with Mexican rice, and a few tortilla strips on the side for some crunch. 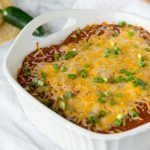 Super simple, and definitely a crowd pleaser. It is also great with my favorite cornbread recipe. 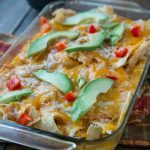 And when I am really craving Mexican food, I am all for these Easy Nachos. 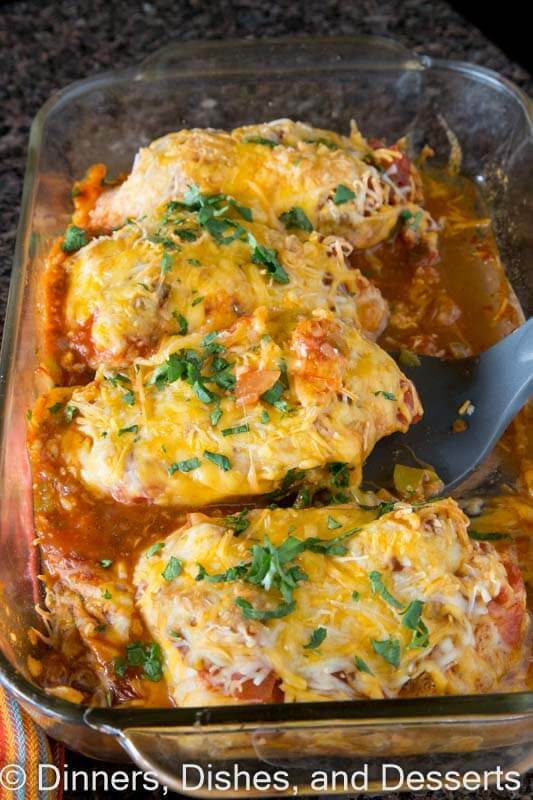 Southwest Baked Chicken - a baked chicken recipe that is ready in no time, with tons of flavor. Just 4 ingredients and dinner is done! 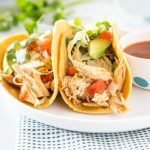 Sprinkle taco seasoning evenly over both sides of chicken. 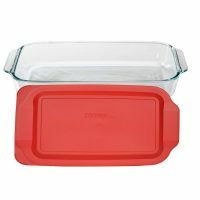 Place in a baking dish. Pour salsa over the top of the chicken. Bake for 25-30 minutes until chicken is cooked through. Sprinkle with shredded cheese. Bake for 5 minutes or until cheese is melted. Garnish with cilantro if using. 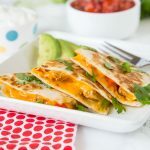 Perfect quick week night dinner ! Thank you and have a pleasant day ! YUM! SO easy too. I think I could make this during our remodel using a toaster oven!!! Hooray! I can’t wait to try this recipe! Those flavors are making my mouth water! 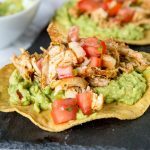 Such a simple recipe, but so flavorful! This looks like a total family pleaser! we’re big chicken fans here too! 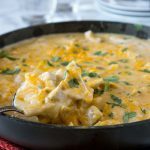 This looks like a recipe that would be very easy to make for a crowd as well as for just a quiet night at home. Now that’s the way to turn chicken breasts into something special! This is the perfect family recipe! 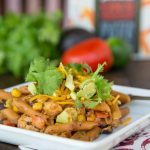 So easy and loaded with flavors. My oldest son would love this, I can’t wait to make it for him!